Increase of return on investment. 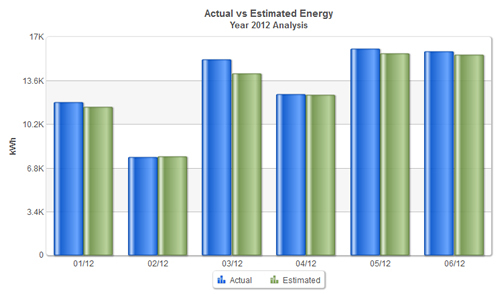 Real-time analysis and comparison between the energy produced by the plant and the estimation of the energy that should have been produced based on intelligent dynamically produced models. Deviations in performance are calculated with high accuracy and facilitate the detection of potential disturbances in the installation. Configuration and management of your plants adopting the concept of a photovoltaic operating center (POC). Fault tracking made easy through a rich dashboard interface. Counterpart map interface to find the exact locations and schedule visits. Innovative diagnostic tools for the fastest fault isolation through rich interfaces, based on Web 2.0 technologies. 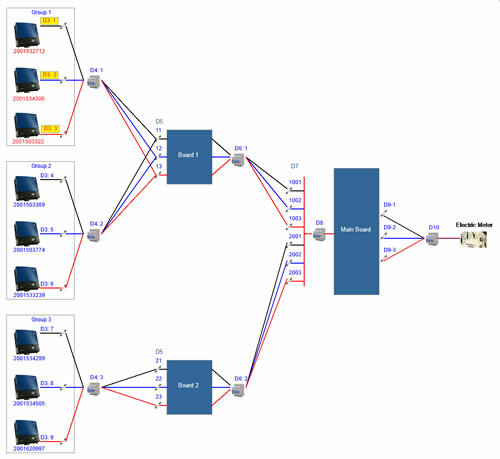 Automatic generation of the installation's AC connection diagram and spotting of potential faults maximizes recovery efficiency. Isolation of the specific inverter where the disturbance occurs, showing graphically the period where the production is less than expected, and the corresponding loss. Alerts are sent through email and SMS in case of major failures and erratic operation. Useful information regarding the plants' operational status and performance is sent. Different functionalities and interfaces are available for users with different roles. PV installers and after sales support service providers are provided with a set of tools that maximize their efficiency and productivity, while PV owners are kept up to date with the status of their plants. Configuration and management through a rich set of data analysis and presentation tools. Standard and custom defined diagrams providing all the required information.